Why not offer the authentic taste of Italy at your event. 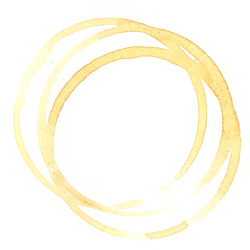 At The Italian Job Coffee we want your fresh coffee experience to not only be delicious, but also profitable! 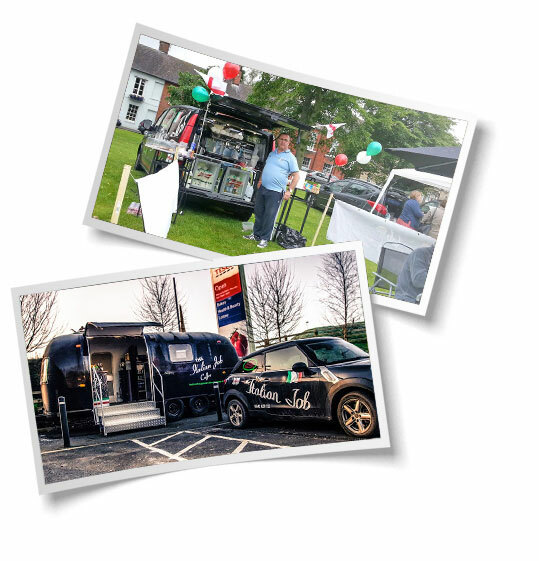 We take a flexible approach to the arrangement we will strike with you and, after a reasonable initial fixed fee which depends on venue and number of people expected, we operate a profit sharing model designed to make The Italian Job Coffee's visit to your event profitable for both of us. Call us today and tell us about your event and what level of service you require (e.g. just coffee and other drinks, or coffee and bacon rolls etc) and we'll work hard to put together a very attractive deal. 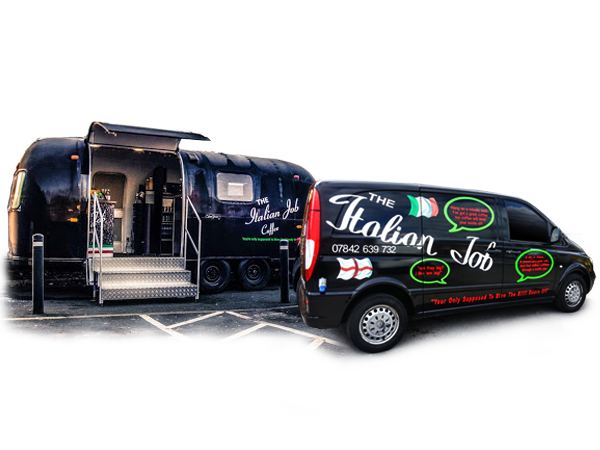 Contact Roy Messenger today on 07842 639 732 and find out how you can bring the authentic taste of Italy to your event and turn a profit into the bargain!